On any given day, on any given cable or satellite system, subscribers will see a message telling them that a favorite channel which had been in one spot on the channel lineup has been shifted to another. It happens all the time as channels are added, subtracted or moved around. It's not a big deal. Unless, of course, the cable channel in question is Bloomberg Television. Since March 2011, Bloomberg has been trying to hold the Comcast-NBCU media behemoth to the promises it made, and agreed to, in order to complete the takeover that resulted in one of the biggest media companies in history. Comcast's power and influence belies its rankings of #66 on the Fortune 500 and #101 on the Financial Times Global 500. The numbers don't show the power of the largest cable provider, largest high-speed Internet provider, a TV network, a movie studio and numerous cable channels all rolled into one. But the sad story of this issue and other behavior, including that of the Federal Communications Commission (FCC) begs the questions of how far the FCC is willing to go now that it has an even bigger deal with Verizon, Comcast and major cable companies to reshape the telecommunications business in the U.S. Under the deal, Verizon will buy for $3.6 billion spectrum the cable companies couldn't or wouldn't use to go into the wireless business. Verizon wireless will, in turn, market cable's landline high-speed Internet businesses. The answers are not encouraging. The FCC in its wisdom grants a big deal with "conditions" to protect the public. Those "conditions" are then used, abused and ignored by the big, powerful companies, which can force their will on the rest of an industry and on cowed regulators who take months, if not years, to reach their decisions. Bloomberg's request wasn't all that complicated. Bloomberg, which is already carried on Comcast cable systems, simply wants to be inserted into the channel lineups with the rest of the news channels, and particularly with CNBC, the business channel that's owned by NBCU, which is owned by Comcast. 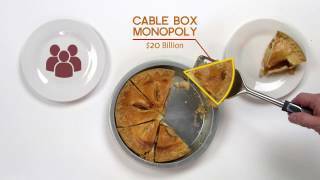 Bloomberg made the request after the Federal Communications Commission (FCC) approved the merger on Jan. 20, 2011. In Washington, D.C., CNBC is channel 39, MSNBC is 38, CNN is 36. Bloomberg is 103. In Philadelphia, CNBC is at channel 47, Bloomberg is 103. Many other Comcast systems have similar channel lineups. Bloomberg's complaint comes from the language the FCC order approving the takeover, which said: "We require that if Comcast now or in the future carries news and/or business news channels in a neighborhood, defined as placing a significant number or percentage of news and/or business news channels substantially adjacent to one another in a system’s channel lineup, Comcast must carry all independent news and business news channels in that neighborhood." After the deal was done, Comcast could have easily granted Bloomberg's request. 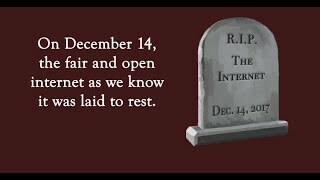 Instead, they are fighting it out to the bitter end at the FCC and, as likely, in court after. That aggressive response to what is basically a nothingburger of an issue makes a joke of the "strong and fair" merger conditions that FCC Chairman Julius Genachowski praised when the deal was approved. Bloomberg warned the FCC that this very situation would occur, and the FCC knew it ahead of time when it said in the order approving the creation of the conglomerate. Bloomberg's concerns that Comcast "will have the ability and incentive" to discriminate against independent programmers "are supported by the evidence" in the record that Comcast has done it before, the FCC said. There aren't many Bloombergs out there big enough and rich enough to challenge Comcast. Most companies which give it a passing thought usually pass, because of the fear of retaliation -- a practice officially banned by the merger order, but you know how far that will go. One other group with the fearlessness to challenge Comcast is Project Concord, a small Boston company that wants to enter the streaming business and carry NBC programming, as it is theoretically allowed to do under the merger deal. This hardy, if secretive, band has managed to crack open the business side of Comcast's practices in dealing with independent programmers. Under the merger agreement, there are supposedly tight terms for exchanging the highly sensitive information about programming agreements -- who in which company gets to see what. Comcast decided on its own that more of its people should see Project Concord's data. Project Concord objected. So did CBS, Fox, Sony, Time Warner, Viacom and Disney. They wrote, "Expansive disclosure of the type anticipated in the Request would have a chilling effect on future online distribution deals, and skew the competitive landscape by allowing one entity to possess detailed nonpublic information about its competitors’ business dealings – which would appear to be counter to relevant competition laws." Making yet another joke of the regulatory process, the Media Bureau rolled over, and put out a notice asking if the confidential exchange of information under the takeover needs to be "clarified." To put Comcast's request for additional information into the larger context, this is the company that as part of its side deals with Verizon is steadfastly refusing to let anyone look at the particulars of how it will sell Verizon's wireless service and how Verizon Wireless will sell Comcast (and other big cable companies) high-speed Internet service. One person at the FCC who hasn't rolled over for Comcast is the one person who has actually conducted a trial of their business practices. Administrative Law Judge Richard Sippel found that Comcast had discriminated against the Tennis Channel in an issue of channel placement, when it discriminated in favor of the Golf Channel and Versus, which Comcast owns. Those channels are on a basic tier, widely available to subscribers, while Tennis Channel was on a higher, extra-pay tier. This case isn't part of the conditions of the merger, but the issues are the same. Sippel ruled last December that Comcast had "engaged in discrimination" against the Tennis Channel, with channel placement simply based on who owned it. Sippel even fined Comcast $375,000, which is lunch money for Comcast, but it's the thought that counts. Unusually, the usually compliant Media Bureau made the same call, as did the FCC's Enforcement Bureau. Of course, Comcast is fighting back and the issue is far from a final legal resolution and that case, like the others, will continue to drag on as the FCC dithers. Of course, Comcast is more than a huge entertainment company. They are the largest supplier of high-speed Internet in the country. With the Verizon deal done, they will be an absolute lock on the wired side of the equation. Verizon will stick to its little FiOS enclaves around the country, while ceding the rest of their territory to Comcast and the rest of the cable industry for true high-speed data. There were conditions on the broadband side also, including that Comcast "make available to approximately 2.5 million low-income households: (i) high-speed Internet access service for less than $10 per month," as well as higher priced services at higher speeds. Comcast got a fair bit of publicity last September when it announced its "Internet Essentials" program. Genachowski even had some glowing words of praise for the program. The reality is the program offered a $9.95 monthly fee for 1.5 mbps service but with terms and conditions that immediately limited its effectiveness. In its original state, the program was to last three years, was limited to households which have at least one child receiving free, but not reduced-price, school lunches, under the National School Lunch Program. They couldn't have previously had Comcast services. There are other requirements for supplying documentation. Applications are handled by mail. Of course, the program leaves out childless couples, elderly or even single people. This is the program of which Genachowski said: "I want to take this opportunity to applaud Comcast for their work on Digital Essentials." As of February, there are 463 Philadelphia families signed up. Local advocates noted that rate is 0.3 percent adoption. The condition is being followed in letter. But the FCC praise for such a problematic program is again raising the question of what happens when the stakes get even larger. Comcast will do what it can to get by. Its commitment to closing the digital divide is guided, as with all businesses, by the bottom line. And yet, the company at times seems to go out of its way in the other direction. Steve Pierce, founder of Wireless Ypsi in Ypsilanti, Mich., said in an interview that one change to a Terms of Service agreement could wipe out months of progress in bringing service to a vastly under-served population. Before the merger, Comcast's Business Class service allowed for sharing of the service. Pierce used that provision to put Comcast connections in public housing and low-income neighborhoods, increasing Comcast's business in places where it wouldn't otherwise be. After the merger, that sharing was severely restricted, so that Pierce couldn't offer his service, which helped to wire up much of the downtown areas. Public Wi-Fi, coffee houses using Wi-Fi and other businesses that want to offer Wi-Fi to customers would be hamstrung by new conditions, including having each user have an individual sign in and password. That type of activity won't close the "broadband adoption gap" that Genachowski so dearly would like closed. Most of the smart money is on the FCC and Justice Department approving the Verizon-cable cartel. There's some battle fatigue after blocking the AT&T takeover of T-Mobile and this case, while as dangerous to the economy, isn't to some as clear cut a call. If it is approved, with conditions, those conditions have to be crystal clear in letter and intent and enforced swiftly to protect the public interest.